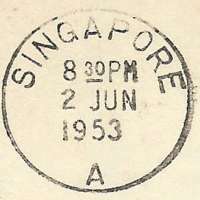 First Day Cover from Singapore with Singapore cancellation but using Penang's issue. The lid of the cover was inserted and the glue from the lid has dried onto the attachment card. Therefore, it is impossible to get the card out without causing harm to the lid. 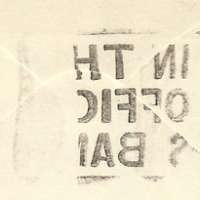 The image on the backside has flipped and mirrored. 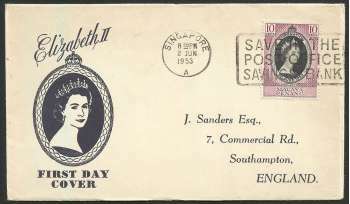 Queen Elizabeth II's coronation resulted in an incredible logistical exercise of coordinating the issue of Coronation Stamps from the Commonwealth and Crown Colonies throughout the world. No computers. No faxes. Many of the territories only accessible by ship. Yet every territory’s post office needed to be communicated with and final stamps shipping to them all in time for Coronation Day. 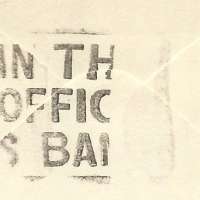 62 of the stamps within the collection – issued on behalf of the majority of countries that feature within it – were co-ordinated by the Crown Agents’ offices in London. The single ‘key plate’ design, using Dorothy Wilding’s portrait of the Queen Elizabeth II as its centrepiece, was varied for each territory by the so-called ‘duty plate’ which added country name and denomination. 175 million stamps were printed and shipped around the world by Bradbury Wilkinson & Co and Messrs De La Rue. 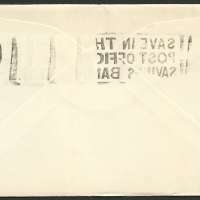 Of the remaining countries, four – Bahrain, Eastern Arabia, Tangier and Kuwait – simply overprinted the British stamps, which are also included in the collection in their own right. Finally, 11 territories including New Zealand and Australia used their own Coronation designs. Along with the new coinage and banknote issues, they were some of the finest manifestations of Queen Elizabeth II - the new monarch. They were true representations of Majesty. In philately, an omnibus issue is an issue of stamps by several countries with a common subject and which may share a uniform design. Omnibus issues have often been made by countries under common political control or groups of colonies due to the close co-operation required to produce the issue. Omnibus issues are to be distinguished from joint issues which are usually much smaller in scope. 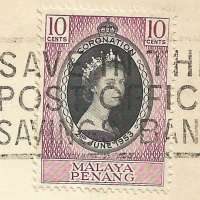 Omnibuses have been particularly associated with stamps from the former British Empire, now the British Commonwealth, due to the large number of territories participating. Initially designs were identical for each colony with only the values, colours and colony names varying. Over time, however, a wider range of designs has been used within the same issue. The first issue was the Silver Jubilee issue of 1935. Many others have followed, usually on themes related to the British Royal Family, but also for subjects such as Freedom from Hunger (1963) and the 1966 Football World Cup. Not every colony necessarily participates in every issue, although the revenue produced by the stamps is a valuable source of income for many smaller colonies/countries which may have few other ways of raising funds.